Heads up! If you're a Mystical Warriors of the Ring fan, you'll want to know about a couple new releases going on sale this Saturday, August 22nd at noon CST in the MWOTR online store. The first is a new PVC color of the stellar Glyos-compatible Goliath figure, which has been featured in detail on this site (see previous MWOTR coverage here). 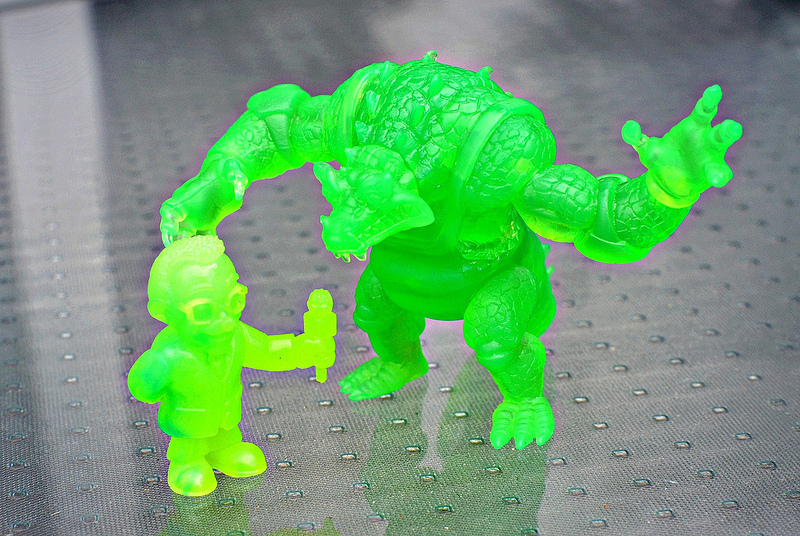 This time, the beastly brute comes in an incredibly vibrant transparent green. 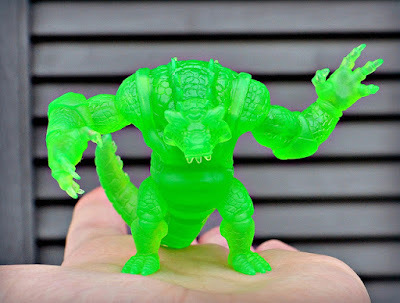 To Glyos collectors, this color is known as Neo-Phase Green. If you're a sucker for neon and/or clear figures like I am, it'll probably be your favorite version of Goliath yet. These bad boys will cost $6 each. 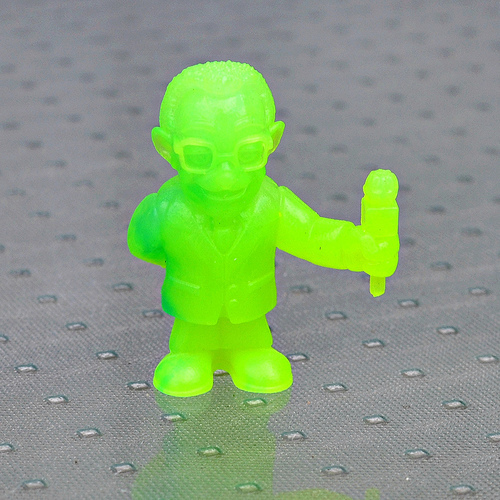 The second figure going up for sale is a brand new sculpt of the character Molie the announcer. This little guy is great fun -- a nod to the classic MUSCLE #162 announcer figure. 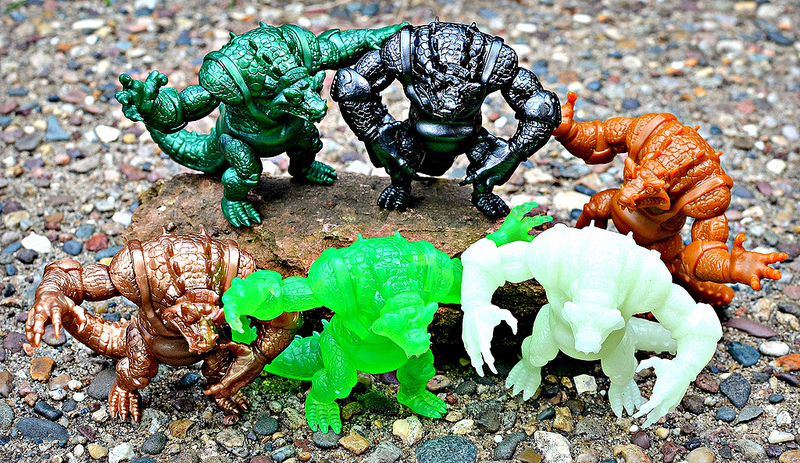 He'll be available at some point down the line in PVC, but this initial release includes a limited amount of resin Molie figures. They'll be available for $10 each in two or three different colors, including clear neon green and blue/white swirl. As always, check out the MWOTR blog for more information.